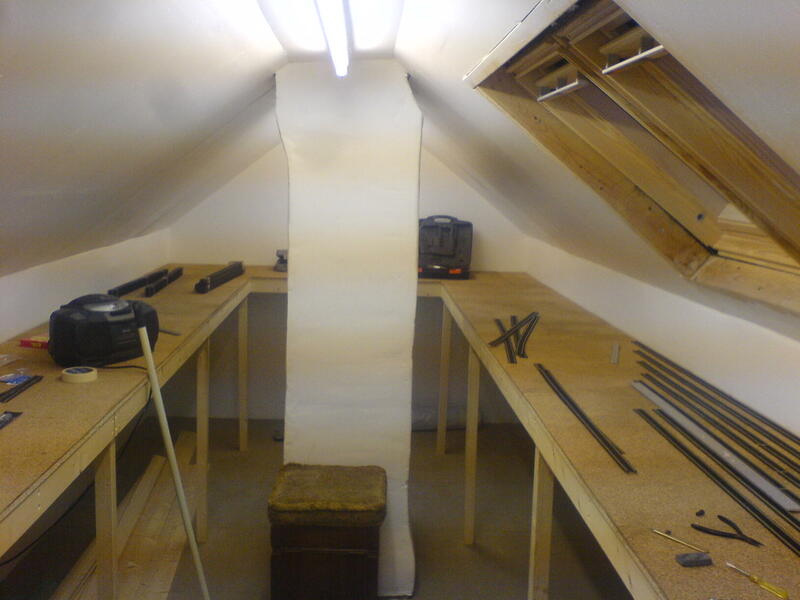 here are a few photos of progress on my loft layout project. Some of you may recall that I had an accident in November 2006; I dislocated my right shoulder whilst surfing (! 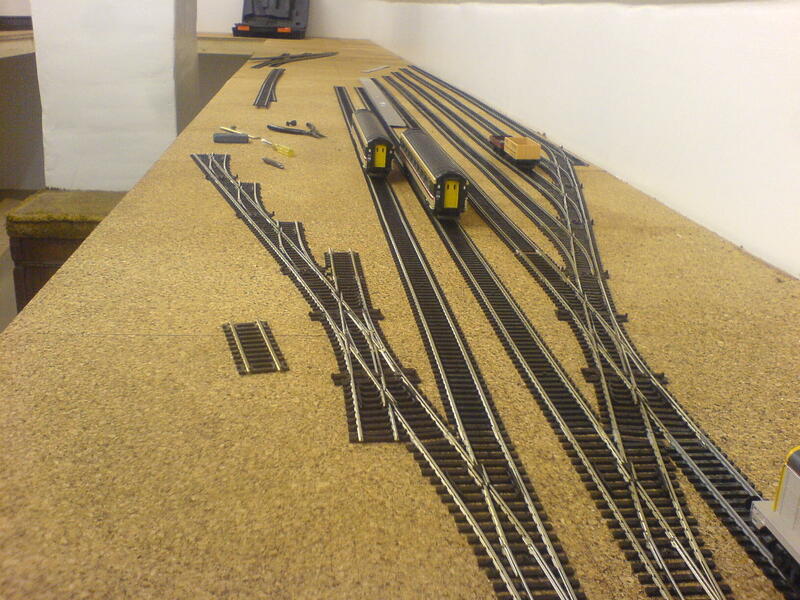 ), as such, progress on the layout has been somewhat slow, until now! The scenic area of the layout is loosely based on the Great Central station at Ruddington; and is modelled as if the GCR was still a through route. However, in my reality, it is "semi-preserved", more of that anon. Overview. 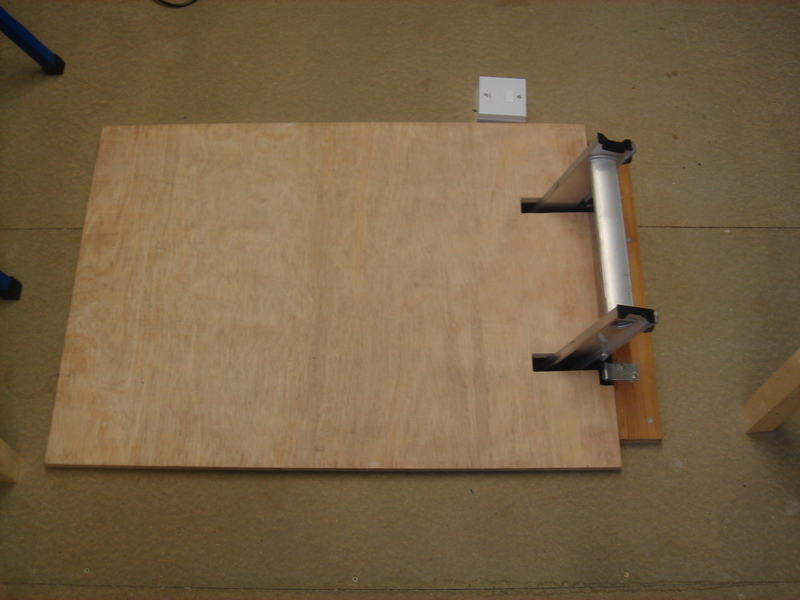 The boards are 2' wide, the layout itself is 21' 6" X 7'. Now, you may ask: "What the heck is he wittering on about, semi-preserved?" In 1966, with the announcement by B.R. of it's intention to close the GCR as a through route, alarm bells began to ring in various places. The Councils of Charnwood Borough, Leicester City, Rushcliffe and Nottingham were particularly worried as to what impact the closure of the line would be on their respective communities. It was decided to approach B.R. with the proposal that the Councils would lease the Nottingham Victoria - Leicester Central stretch from B.R., the services being operated by the fledgling Main Line Steam Trust. Somewhat surprisingly, B.R. agreed to the proposal, the MLST service commencing the day after the last scheduled B.R service had ran. The line was eventually purchased from the Councils who had saved it, and in 1996, two years after the opening of the Channel Tunnel, the rail link connecting the Tunnel with London Marylebone was opened, Sir Edward Watkin's dream finally being realised. However, the preserved stretch presents some interesting operating problems! Due to the Nottingham-Leicester section being designated a "Heritage" site, it is not permitted to electrify it. 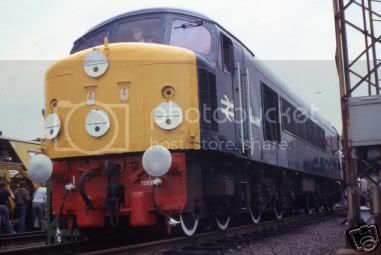 Through electric-hauled trains from Manchester Victoria to the Continent are piloted by a preserved diesel from Nottingham to Leicester, if no loco from the "big railway" is available. OK, so really the layout give me an excuse to run my Continental stock, and my electric locos without catenary! Last edited by DonB on Sun Feb 25, 2018 7:52 pm, edited 6 times in total. So, what has been happening in the last few months? As soon as I was able to do so, I finished laying the track. This was finally completed last June. To celebrate this milestone, I decided to hold an Open Day. This served 2 purposes; to catalogue the locomotives, and to satisfy my partner, who wanted to see all the locomotives in one place. Overall view of the Open Day proceedings. This is the entire UK loco fleet. I had been debating whether or not to take the plunge into DCC. I decided not to go DCC after realising the extent of the collection, plus some of the older locos would probably be difficult to convert. I found my original 2-track controller, an AGW PE144, hiding in a box in the loft. This unit had always given smooth, reliable control. Being stored for 15+ years hadn't affected it in the slightest. There are 2 panels, Fiddle Yard (4 controllers) and Station (2 controllers). Last edited by DonB on Sun Feb 25, 2018 7:48 pm, edited 3 times in total. Hi there I love the look of your fiddle yards and your engine collection is amazing! I work next to the GCR at Ruddington and so get to see it most days. I've always thought there station would make a great model. I'd love to see some more pictures and maybe even a track plan! Always a nice feeling when you get the track down. What sort of size is your fiddle yard? What a great collection of stock you have too ! Is that a class 15 I spot right at the front ? Kit built ? Looking forward to seeing this one progress !! Keep the photos coming ! Raider - The fiddle yard is 15' long overall, the longest siding is just under 14'. There are 10 roads. 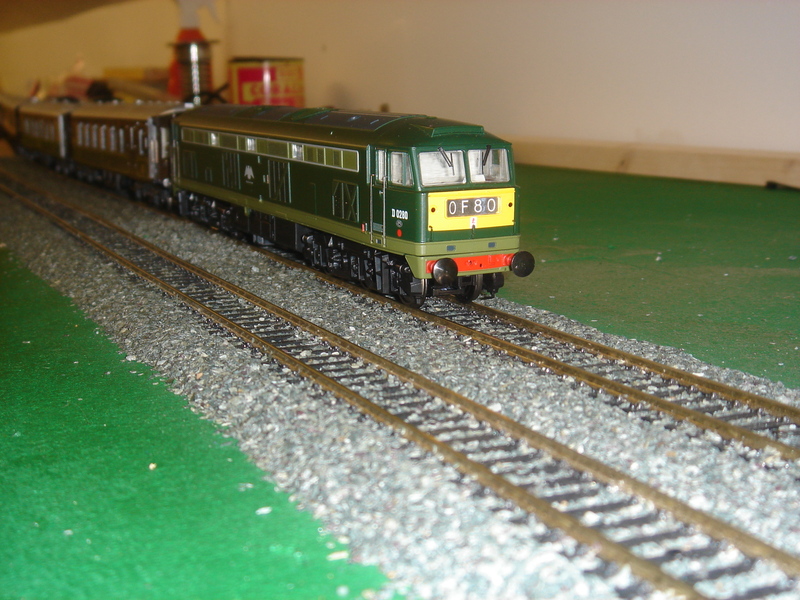 DrStroganoff - Yes, the Class 15 is a Dave Alexander kit. She was assembled using solder & epoxy, and I used Halfords paint to finish. Thanks for the info. Had a feeling it was going to be a long one. Well, I've managed to get a little bit more done today! Screwed-up (not literally) the dangling choc block connectors to the baseboard frame. 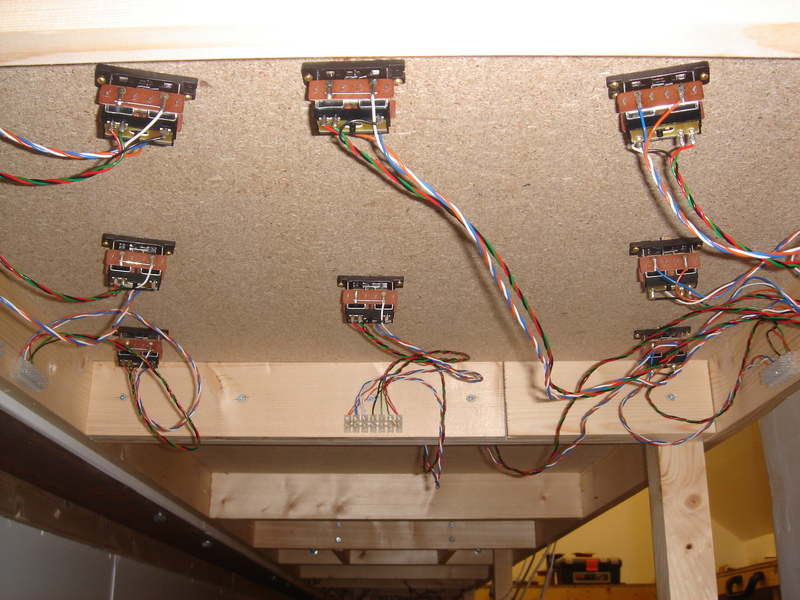 The wiring to the point motors just needs tidying up now. For safety's sake, I made a cover for the loft trapdoor. This serves two purposes, to stop us falling out, and the cats getting in! The 2 younger ones enjoy climbing the ladder and sitting on the main line (literally) and watching the trains go by! Recommended for peace of mind! I had a bash at ballasting today, photos coming soon! Last edited by DonB on Sun Feb 25, 2018 7:46 pm, edited 3 times in total. 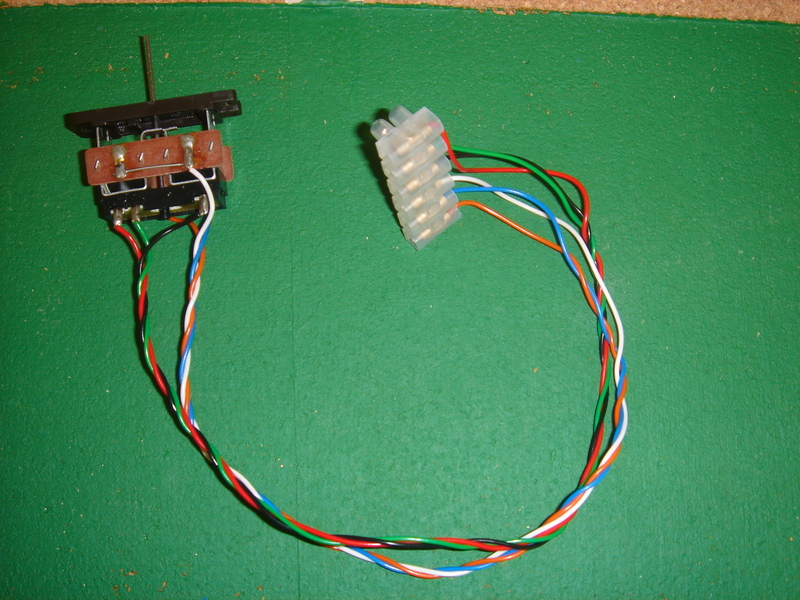 In the meantime, while I'm waiting for the glue to dry on the ballast, I will share with you the method I use to fit my Peco PL-10E point motors. First of all, I find the centre of the tiebar throw, and mark it. Then I drill a 10mm hole. If this is done correctly there should be no problems. This method avoids cutting out huge rectangular holes in the baseboard. All wire ends are tinned. 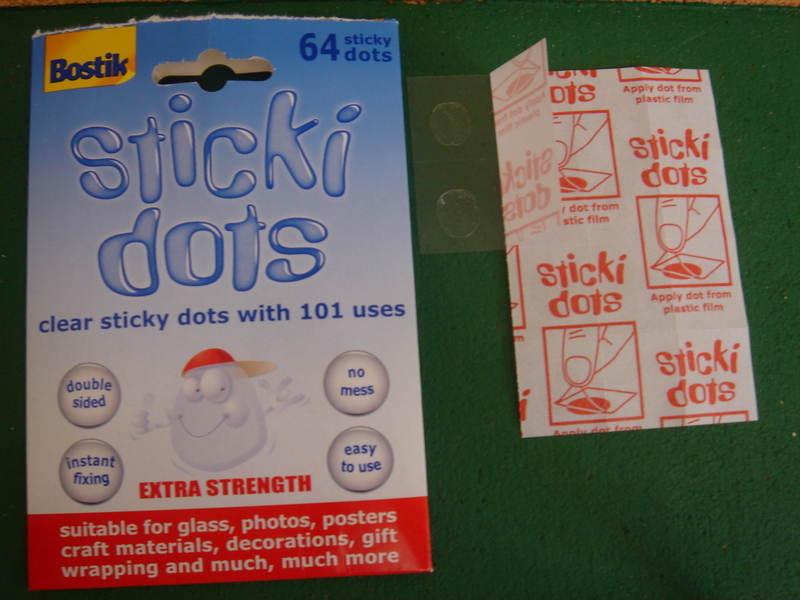 To hold the assembly to the underside of the board, I used "Bostik Sticki Dots". These will hold the motors in place long enough while you screw them to the board. I bought mine from "Partners". 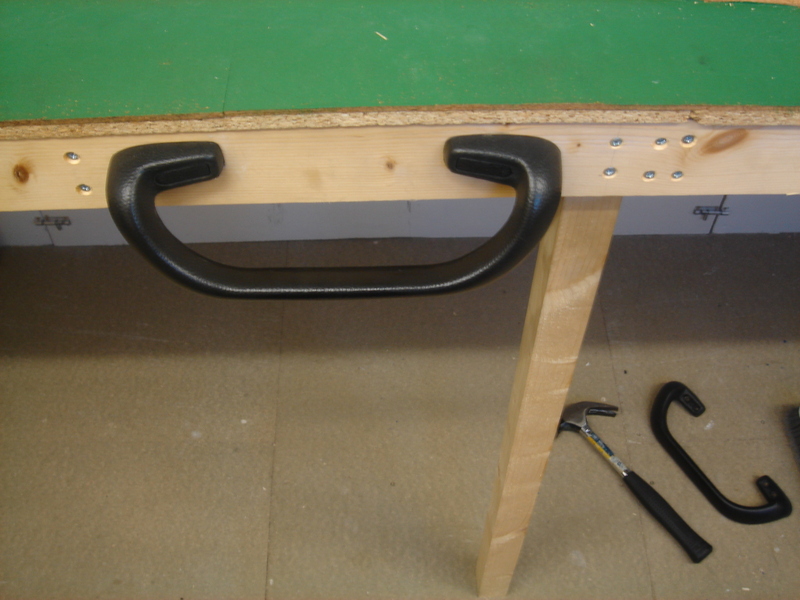 TIP: Use a carpenter's bradawl to start the hole (Wickes do a good, cheap one). Test the motor. If all is well, fine. If not, adjust. Last edited by DonB on Sun Feb 25, 2018 7:40 pm, edited 4 times in total. hi Don nice layout you have. it will look good when you have done a bit more to it. I have got some bridge kits that are based on the GCR bridge at Ashby-magna. but they do look like the other ones as well. The kit comes with a few styles of what you want. if you want contact me via pm to find out more! Your method of fixing the points is the same as I did, except I used double sided tape. I look forwards to seeing more pics of the layout as you progress. 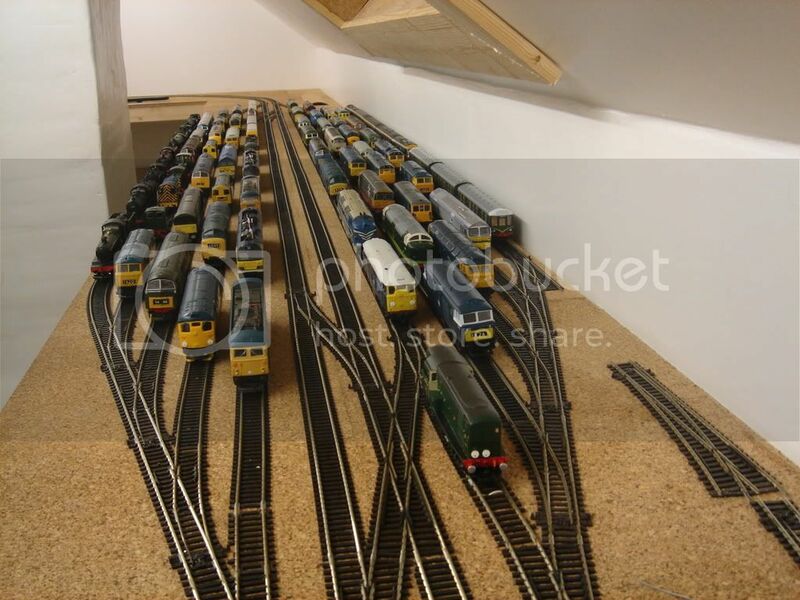 Wow love your fiddle yard, How many locos have you managed to fit on there?! There are, I think, 71 locos in the pic, this counts the 2 Blue Pullman and 2 HST power cars, as these are powered (My Continental stock isn't pictured). The locos are quite widely-spaced, so there is room for a few more! The loco storage sidings will be at bottom right in that pic, where the 2 loose points are! Right... 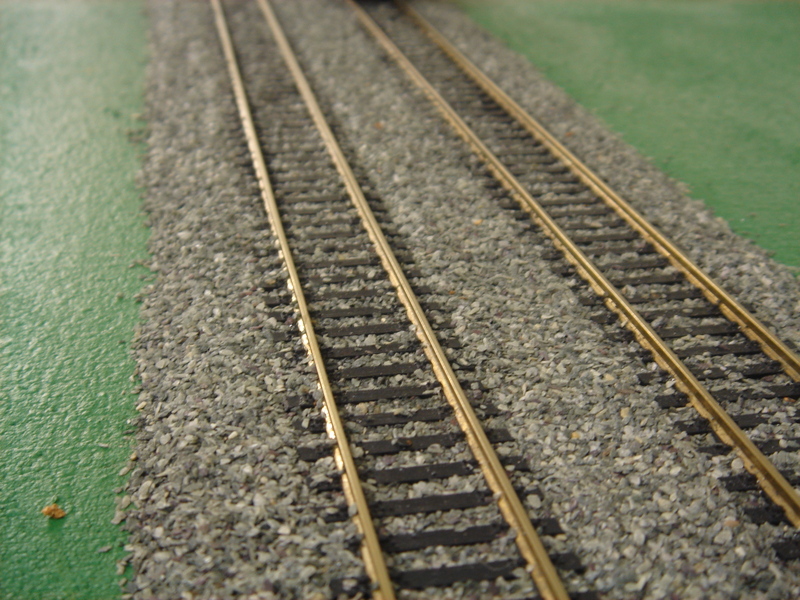 Here are a couple of pics showing my first attempt at "proper" ballasting. "FALCON" picks her way carefully through the new ballast. Any suggestions on the best way to do this are more than welcome. Last edited by DonB on Sun Feb 25, 2018 7:35 pm, edited 3 times in total.